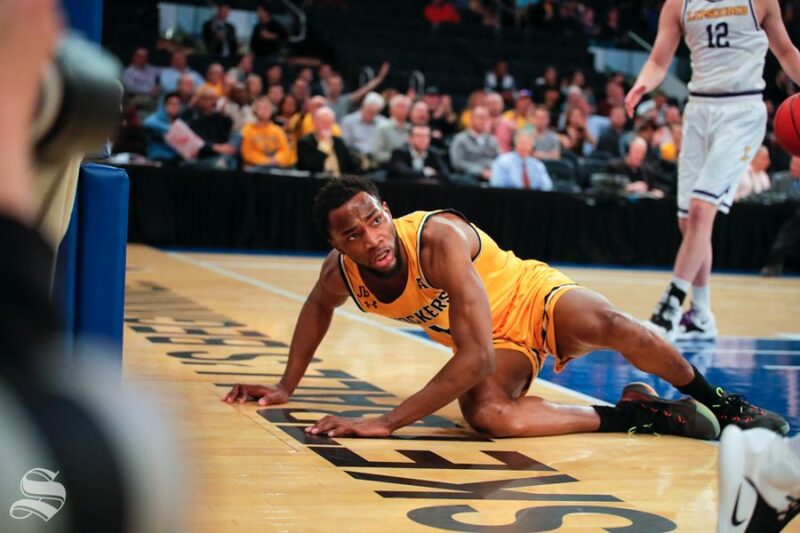 Wichita State senior Markis McDuffie lays on the ground after being fouled during the first half of the game against Lipscomb on April 2, 2019 at Madison Square Garden in New York. (Photo by Joseph Barringhaus/The Sunflower). NEW YORK CITY — Markis McDuffie will have a place in the Wichita State history books. 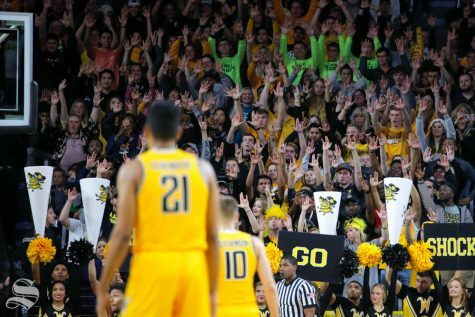 He scored the third-most points of any Shocker in a single season, behind Xavier McDaniel and Dave Stallworth, who’s numbers hang in the rafters at Charles Koch Arena. 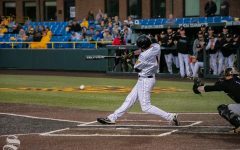 At the heart of it, McDuffie doesn’t have a regret from his four-year career at Wichita State. McDuffie said it still felt like he had another year left. 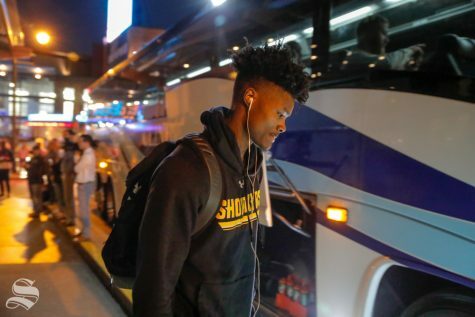 He was a part of four years of Shocker basketball, filled with four post-season trips. 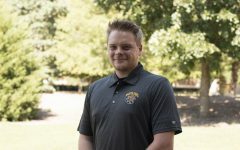 From his freshman year as the Missouri Valley Freshman of the Year to his year as a senior leader, he feels fulfilled. 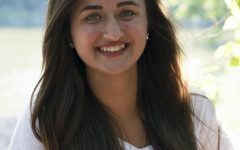 McDuffie wanted fans to remember his always-positive, friendly attitude. 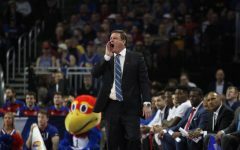 He said that was more significant than any series of wins or records. “I just want to be remembered as someone who is always positive, always worked super hard and never let anything get to me,” McDuffie said. 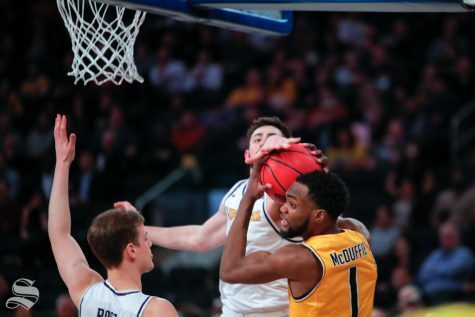 Wichita State forward Markis McDuffie fights for the ball during the second half of the game against Lipscomb on April 2, 2019 at Madison Square Garden in New York. (Photo by Joseph Barringhaus/The Sunflower). 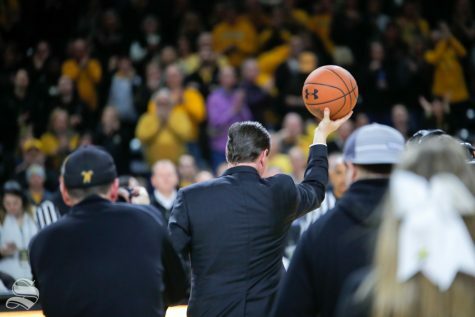 That was before McDuffie lead the Shockers to the National Invitation Tournament semifinals in Madison Square Garden and delivered Head Coach Gregg Marshall his 500th career win. His career ended a game shy of the NIT championship. Marshall reflected on his two seniors. 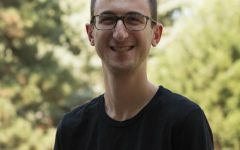 “I told them I loved them,” Marshall said. “I told them I would be there for the rest of their lives. 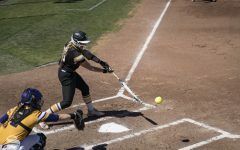 Wichita State returned to the National Invitation Tournament semifinals in its second straight appearance in the tournament. 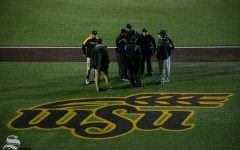 The Shockers won the tournament in its last NIT appearance in 2011. 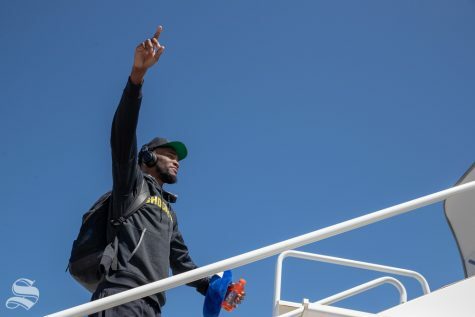 Wichita State senior Markis McDuffie points to the sky as he walks onto the team plane headed to New York for the NIT semifinals on March 31, 2019. (Photo by Joseph Barringhaus/The Sunflower). Haynes-Jones, his roommate, praised McDuffie’s ability to stay poised during adversity. 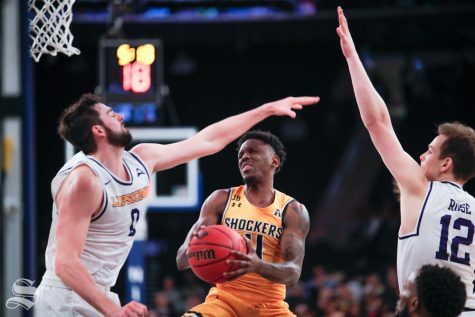 When the team was three games below a .500 record, when the Shockers lost to Oklahoma by 32 and when it lost six of its first seven conference games, McDuffie stayed poised. 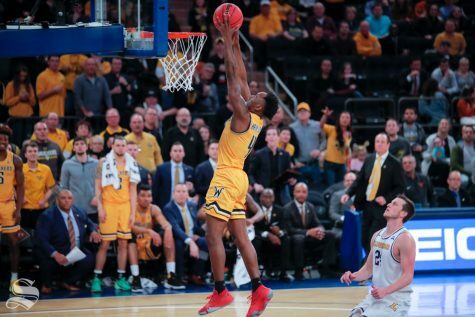 Wichita State guard Samajae Haynes-Jones dunks the ball during the second half of the game against Lipscomb on April 2, 2019 at Madison Square Garden in New York. (Photo by Joseph Barringhaus/The Sunflower). McDuffie and Haynes-Jones checked out of the game in the final seconds. In the locker room following the game, Haynes-Jones was processing the moment. A media relations liaison pulled him away for a press conference. Smiling, he tried to hide his expressions. 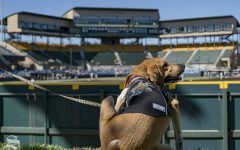 He still couldn’t process that this was end of his brief two-year stint with Wichita State, the home team of the city he grew up in. 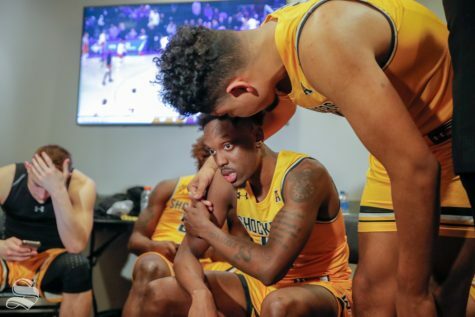 Wichita State senior Samajae Haynes-Jones is hugged by junior Isaiah Poor Bear-Chandler in the locker room after the game against Lipscomb on April 2, 2019 at Madison Square Garden in New York. (Photo by Joseph Barringhaus/The Sunflower). Wichita State’s season ends at 22-15. 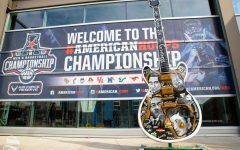 The Shockers became the first team in AAC history to finish with better than seven wins after winning just one of its first seven in conference play. 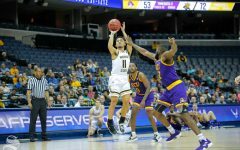 Gregg Marshall’s group won 11 of its last 13 games of the regular season and lost in the semifinals to Cincinnati in the AAC tournament. Gregg Marshall won his 500th career victory as a coach in the team’s win against Furman. He became the 10th NCAA coach to reach the mark before the end of his 21st season. 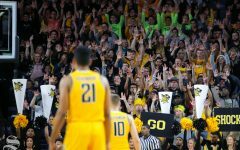 Wichita State will return a nearly complete lineup next season, having graduating just McDuffie and senior point guard Haynes-Jones. 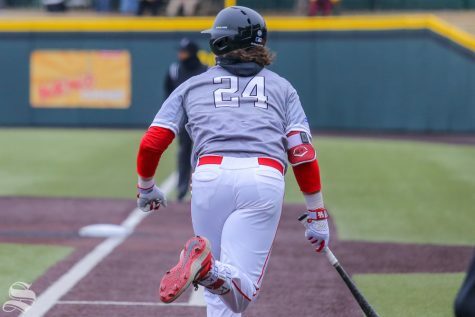 The Shockers have three commitments joining the team next season, and will be joined by Teddy Allen who sat out for transfer reasons this season. Wichita State guard Samajae Haynes-Jones is fouled during the second half of the game against Lipscomb on April 2, 2019 at Madison Square Garden in New York. (Photo by Joseph Barringhaus/The Sunflower).